Home Capital Group Inc. is feeling the sting as rising interest rates make it more expensive to raise term deposits, putting pressure on a key source of funding as the alternative mortgage lender continues to recover from a liquidity crisis last year. The company’s financial results for the second quarter, released on Tuesday, show it is gradually increasing the pace at which it issues new mortgages as it seeks to rebuild a diminished loan book. But the company’s profit was hampered by tighter margins between loans and deposits, and stiffer competition in the deposit market was a key culprit. As the Bank of Canada continues to inch interest rates higher, lenders have had to pay more interest on guaranteed income certificates, or GICs, to keep deposits coming in. Home Capital has offered some of the most generous rates available in order to stabilize its funding base, after suffering a run on deposits that pushed the firm to the brink of insolvency last April. Mortgages rates are also rising, but not as quickly, and the discrepancy has squeezed the profitability of Home Capital’s loans. The company has also faced stiff competition in the broader mortgage market, where housing activity has been slower in the wake of regulatory changes that have made it harder for some borrowers to qualify for large home loans. As a result, Home Capital has had to stay disciplined on the prices it offers to borrowers, while paying out more generous interest on deposits to fund new loans. 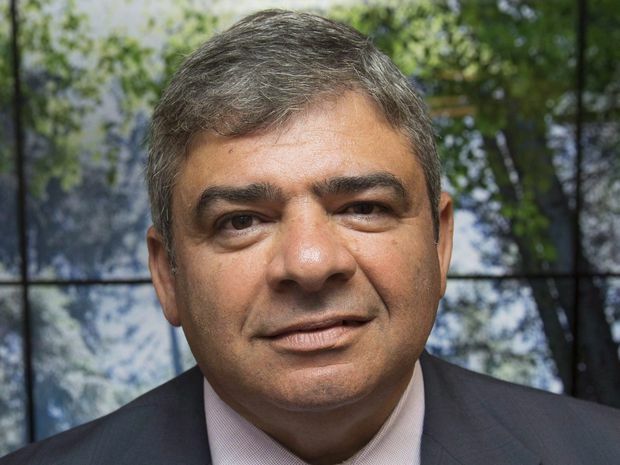 Yousry Bissada, Home Capital’s chief executive officer, in 2017. “There is a lag due to competition that drives a timing difference between GIC and mortgage rate increases," Yousry Bissada, Home Capital’s chief executive officer, said on a conference call with analysts. For the most part, GIC rates move in step with benchmarks set by the Bank of Canada, but financial institutions fine-tune rates and jockey for position. Last year, Home Capital offered especially high interest on GICs to bring in a rush of deposits, and continues to depend heavily on GICs to shore up its funding base. The company has since dialed back its rates, but they are still among the most generous in the market: A one-year non-redeemable GIC from Oaken Financial, a Home Capital subsidiary, pays 2.8-per-cent interest, on par with online rival Equitable Bank, according to comparison tool RateHub.ca. Mr. Bissada reassured investors that Home Capital has had no trouble raising the funding it needs, even if it’s forced to pay a higher price. “Looking at the next six months, we’ve got ample deposits right now. And we don’t have as large a need in the second half of the year as we do in the first half of the year," he said. But tighter margins are dampening profit. Home Capital earned $29.6-million in the second quarter, which ended Jun. 30, compared with a net loss of $111.1-million a year earlier, when the lender was in crisis and paying sky-high fees and interest on an emergency credit line. Compared with the first quarter this year, profit fell by 14.4 per cent. On a more encouraging note, the company issued a total of $1.23-billion in new mortgages, up 10 per cent from a year earlier, including $949-million in new residential mortgages. But investors still took a dim view of the results and Home Capital’s stock price fell $1.15, or 7.5 per cent, on the Toronto Stock Exchange to close at $14.12. “To us, these results confirm that the mortgage market remains competitive, limiting Home’s ability to fully pass along its cost of deposits to mortgage borrowers,” said Brenna Phelan, an analyst at Raymond James Ltd.